Being a wealthy Scandinavian country, Sweden promises a high quality of life in holistic terms for its citizens and expats alike. Based on the intensive research by Xpatulator, Stockholm, Sweden's capital, comes 80th of 276 international cities as the most expensive destination for expats to reside. Furthermore, "in terms of the hardship people are likely to experience, assessed in global terms, Stockholm is ranked as a minimal hardship location with a hardship index of 10%,"
According to the Institute for Private Economy's calculations (Institut för privatekonomi), a solo expat may expect to pay around SEK 7,570 (US$1,068.26) per month. This covers expenses for food, clothing, hygiene, transportation, leisure activities, insurance, electricity and telephone. 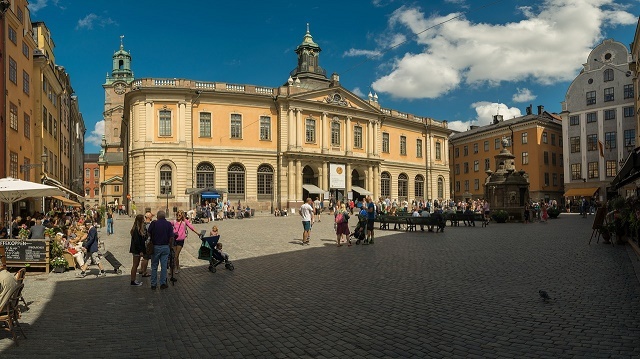 Housing is considered costly, particularly in urban areas like Stockholm. Swedish cuisine makes use of dairy products, breads, vegetables, fruits and meat like pork, beef and seafood thanks to their abundant livestock and marine life. Tipping is not required for restaurant diners as a service charge is usually included in the bill. However, since it is mandatory to hang up your coat upon entry in restaurants, it is expected that you tip the cloakroom attendant between SEK 15 (US$2.11) and SEK 20 (US$2.81). The government taxes alcohol to a great extent. Aside from that, the sole source of alcohol is the Swedish Alcohol Retail Monopoly (Systembolaget). Similar to other expat destinations, housing rates differ from one area to another. In urban areas, the apartment availability is low and the cost is far above the average. Most expats resort to sharing the rent with a roommate or finding a place outside the city. Bostadsrätt (tenant-ownership) allows the cooperative association and tenants to co-own and co-manage a property. Once your purchase of the tenant-owners apartment and association membership is approved, you pay a capital contribution and a monthly fee to take care of operation and maintenance costs. To find an apartment, scour advertisements in the newspapers or approach municipal or private housing agencies. To look for a house, search advertisements in the newspapers or on the internet or estate agents or private housing companies. HSB (a housing agency) and Riksbyggen (the Cooperative Housing Association) are good places to start. If a Swedish company employs you, your employer will likely assist you with finding a place to live. Sweden has an excellent public transport system including buses, trains and ferries. Buying monthly passes for regional buses or trains can often result in discounts and combination tickets. An unlimited transit pass amounts to SEK200 (US$29).